There’s a moment early in the desperate and downright embarrassing Mummy reboot that achieves a level of meta resonance that only monumentally stupid movies can achieve by pure coincidence as opposed to genuine self-awareness. The film’s first big action setpiece finds Tom Cruise and Jake Johnson running rampant across Iraqi rooftops while avoiding insurgent gunfire and as they duo drops to the ground for cover, Johnson yells the same four words that Cruise’s agent should have invoked when he considered taking this role: “what are you *thinking*?” It was the same sentence that kept popping into my head many times while watching Cruise in The Mummy, which squanders just about every good opportunity that comes its way and indulges in a host of bad opportunities that could have been avoided with even a modest degree of common sense. Cruise stars as Nick Morton, a brash soldier turned smuggler who gets in over his head when he accidentally uncovers the tomb of the ancient Egyptian princess Ahmanet (Sofia Boutella) with his partner Chris (Johnson) and chief archaeologist Jenny Halsey (Annabelle Wallis). While transporting the sarcophagus on a military plane, a massive wave of crows causes a violent crash that leaves no survivors with the exception of Jenny, who is parachuted off the plane before it goes down, and Nick, who is seemingly cursed by Ahmanet’s ghost. The pair team up with Dr. Henry Jekyll (Russell Crowe), head of a secret society called Prodigium whose goal is to rid the world of supernatural evil, to contain Ahmanet before her plans to unleash the Egyptian god Set on the world can be carried out. The Mummy is to be the first film in Universal’s Dark Universe, which is an attempt to incorporate vintage movie monsters like Frankenstein and Dracula into an all-encompassing franchise complete with cloying callbacks and Easter eggs that feel like product placement for the future film entries instead of clever bits of fan service. On a corporate level, this is Universal’s rebuttal to Disney’s Marvel Universe and Warner Bros’ DC Universe but the effort to emulate the world-building tactics used by those studios is as tacky as it is transparent. There’s something profoundly arrogant and cynical about making a movie that is as shamelessly mechanical and soulless as this while also presuming that the audience is already on board with more installments before they’ve even had a chance to experience the first entry. Even if you strip away the context of Hollywood’s incessant addiction to franchise filmmaking, there’s still plenty in The Mummy that would qualify it as a total non-starter even if its mission was to just be a standalone popcorn flick. The script is nothing short of a disaster, rife with inane, ear-scraping dialogue so witless that it’s a miracle the actors could muster the courage to deliver the lines to one another and with characters so thinly written that they slip through one’s fingers like a fistful of sand. The director Alex Kurtzman is known primarily as a screenwriter for big budget fare like the Transformers and Star Trek series but in his first attempt at heading up such a spectacle, he fails to tell a comprehensible story or deliver any action sequences (save for the plane crash) that have any sort of momentum or vigor. 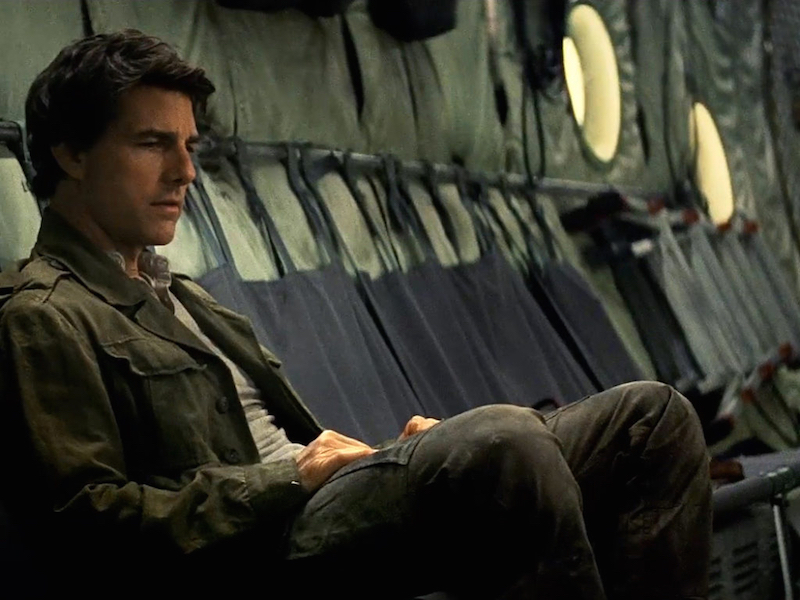 Still, much of the blame can rightly be put on Cruise, who turns in a charisma-free performance so listless that I wondered if he had been working through a concussion or two from bouncing around in zero gravity for his stunt work. I suppose it doesn’t help that he is saddled with a bumbling fool of a character who spends most of the story confused or defeated and the decision to misuse the talents of such a bankable star was likely embedded from the outset by executives at Universal who didn’t care if Cruise would be a good fit as long as the box office numbers could justify it. It’s too early to tell if they’ll learn their lesson this time around but if The Mummy is an indication of how the rest of the Dark Universe is going to play out, then we have a long dark road ahead of us.